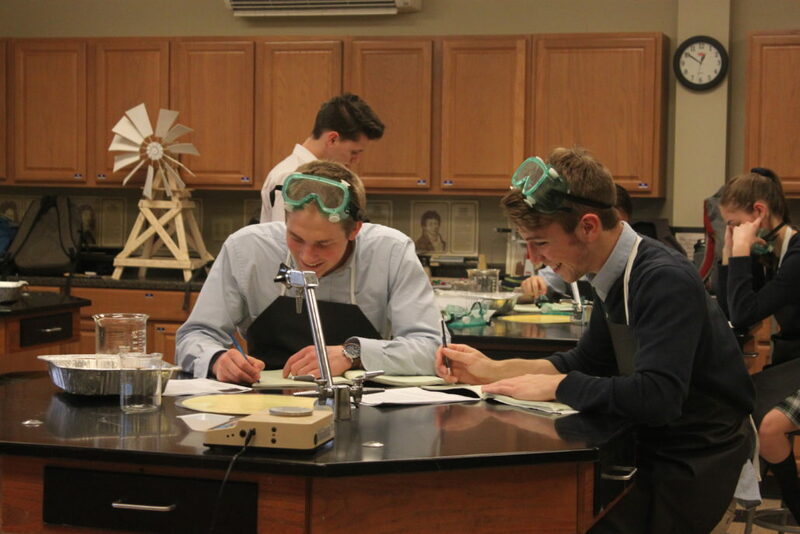 Science and mathematics are essential fields of inquiry and instruction for a classical, Christian course of study. Many of our graduates have gone on to pursue further education and careers in these disciplines in fields such as medicine, computer programming, bio-medical engineering, and more. (See our profiles on Allie Good, Ben Brown, and Daniel Schwab for a few examples). 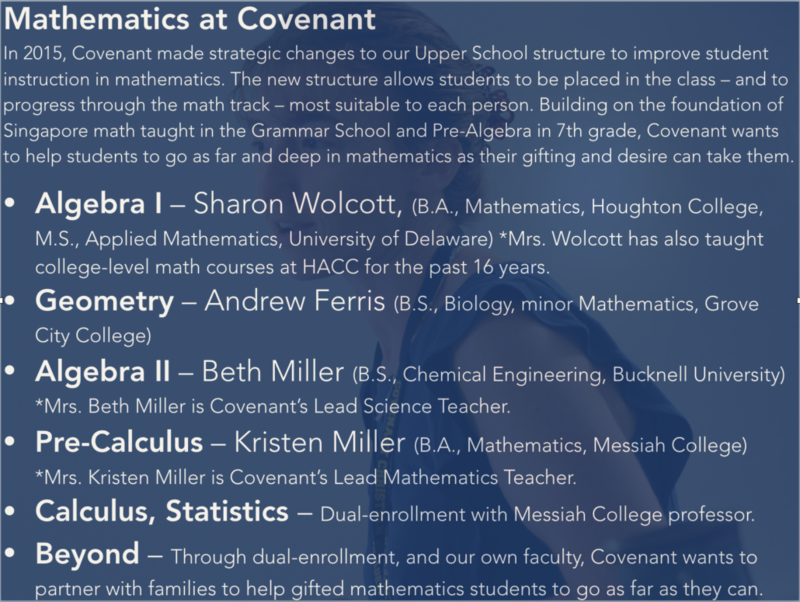 We are happy to announce two new faculty members who will be teaching math and science classes at Covenant next year. Sarah McCollum will teach Biology and Andrew Ferris will join our team full-time to teach Grammar School Science, Life Science, Geometry, and electives. You can learn more about each of them – as well as our Lead Science Teacher, Beth Miller – by clicking on their names. Over the last few years, we have been blessed to assemble a fabulous team of educators to teach our math and science courses. The following slides provide information about our program and the gifted faculty who will be teaching our students. 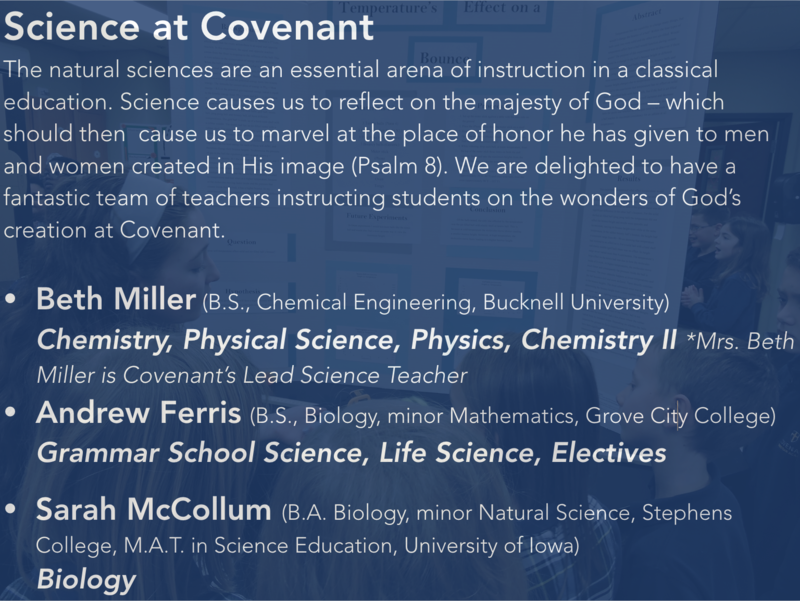 If you would like to learn more about Covenant, please contact Admissions Director, Katie Broeg, to begin a conversation.